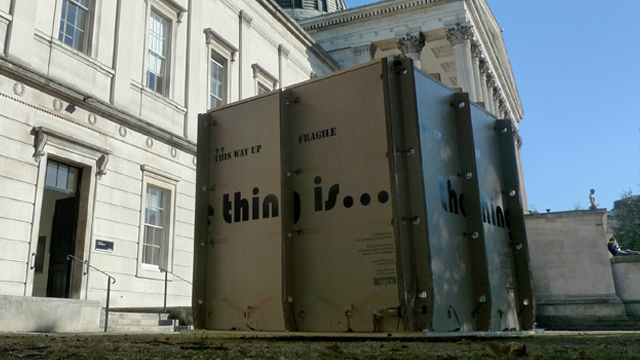 ...a portable display space created for UCL Museums' school outreach programme. A utilitarian cardboard exterior contained a perfect mirrored cube within. The design was developed by Mobile Studio and Westby&Jones developed the fabrication system and the method of assembly.